Is it bad that I’m looking forward to my rest day on Sunday already? I mean this week is flying by but my body is tired and I want to kick my feet up and just sit for a long period of time. 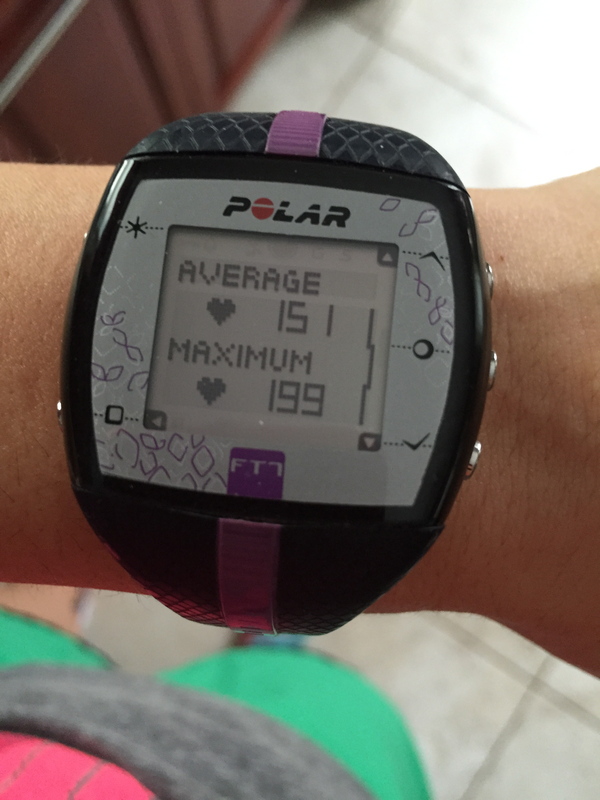 My workouts have been quite intense this week (check out the average hear rate for one of my workouts). I guess I shouldn’t wish for Sunday, I just want it to be Saturday afternoon so I can chill. 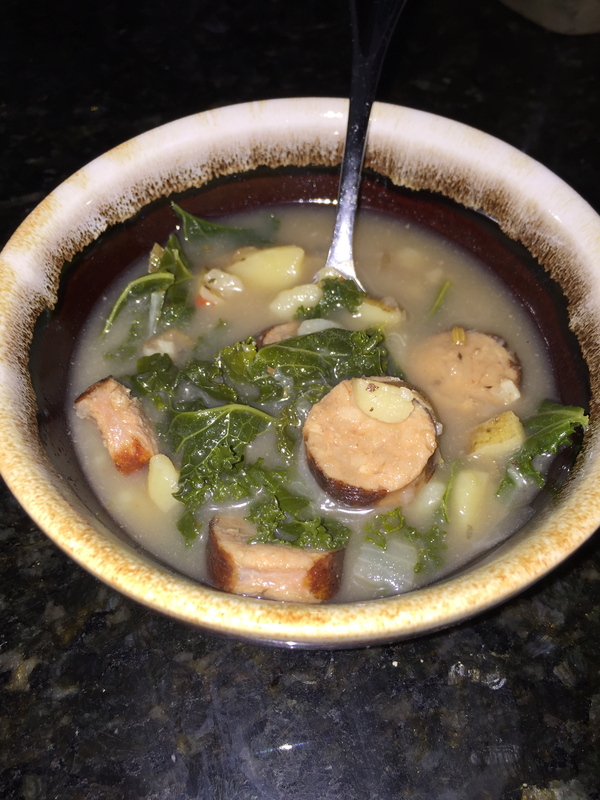 Anyways, I wanted to share a soup recipe with you that Marc made this past weekend. He had a recipe that he has been wanting to make and without me asking he started prepping and cooking soup on Sunday!! A break from cooking is always nice for me! These past couple of weeks, it has been so cold and snowy around here. I don’t know about you guys but we have definitely been making more “comfort foods.” Soup is very comforting for me. It warmed me right up and left me with a full belly! We all know a Full Belly= Satisfied! Place sausage in a large pot on medium-high heat. Turn occasionally until all sides are brown. Remove from pan and cut into slices ¼ wide. In same pan add onion and olive oil cook on low heat until golden brown. In another pot boil potatoes for 5-10 minutes to soften. Add all remaining ingredients except the kale, into the large pot with the onions and cut sausage and simmer for 35-40 minutes. Before serving the soup, add the kale to the pot and cover for 10 minutes to wilt the kale. 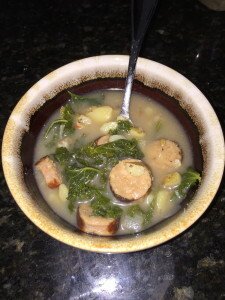 I love the Kale in this soup, it adds a nutritious punch, but the potatoes keep it hearty and filling. If you aren’t into kale try subbing in spinach. ENJOY! What is one of your winter comfort foods? Are you a big soup fan?